This review has been printed in the June 2017 issue of Chess Life. A penultimate (and unedited) version of the review is reproduced here. Minor differences exist between this and the printed version. My thanks to the good folks at Chess Life for allowing me to do so. Bonin, Jay, and Greg Keener. Active Pieces: Practical Advice from America’s Most Relentless Tournament Player. Newton Highlands: Mongoose, 2017. ISBN 9781936277766. PB 256pp. Among Caïssa’s many servants, few are as devoted as is Jay Bonin. The International Master has been a fixture on the New York chess scene for over 40 years, and hardly a day goes by that Bonin is not playing at one of the Metro Area’s many tournaments. He has contested an astounding 16,885 rated games (as of 4/2/17, and across all time controls) since US Chess started keeping electronic records in 1991. I came of age playing chess around New York, and I vividly remember encountering Bonin at one of my first tournaments at the Nassau Chess Club. That a titled player, someone one step away from being a Grandmaster, was right there in the flesh… it was astounding. Somehow I worked up the courage to walk up and ask him if he could recommend a book on bishop endings – how random! – and, looking back, the adult me can recognize the weary smirk with which he answered that gawky, sweaty teen. It is not hyperbole to say that Jay Bonin is a legend of New York chess. So when I heard that there would be a book about Bonin, I was excited. There are so many great American players (particularly of Bonin’s generation) whose stories are never told, whose best games never make it to the databases. At least one of them would be spared that fate. Active Pieces: Practical Advice from America’s Most Relentless Tournament Player is an annotated collection of 130 of Bonin’s games. While the stories and ideas are Bonin’s, the words themselves belong to co-author Greg Keener. This is Keener’s second such effort, having co-written The Czech Benoni in Action with another New York stalwart, FM Asa Hoffman. Much of Bonin’s style seems to derive from the rigors of incessant tournament play. He is primarily a grinder, someone comfortable playing dry, technical positions to the bitter end against weaker opponents. We see this most clearly in chapters 4-7. Chapter 4 consists of games in Bonin’s pet openings, which often lead to quick queen trades and deceptively quiet situations. Chapters 5-6 show us how he handles sterile positions, using small imbalances to maximize winning chances. And Chapter 7 contains multiple examples of his counterpunching skills. One of the very nice things about Active Pieces is the sparse, stream-of-consciousness nature of some of the annotations. It’s rare that we get something approaching unfiltered access to a strong player’s in-game thoughts, and I think there’s great value in seeing how Bonin goes about conjuring victories from equal positions. Perhaps that’s why I was so disappointed by the multiple analytical errors I found when playing through the games. I’m not talking about a swing from +0.4 to -0.3 pawns, which would be forgivable. The text glides over major blunders without comment, and there are notes containing deeply flawed evaluations and analysis. Here’s one particularly egregious example. In Bonin-Shchukin (Philadelphia, 2000) White has just played 38.Ne6, and Bonin and Keener write: “Decisive. The f-pawn will also have a say in matters.” (112) Black is indeed lost after 38. ..h5, but 38. ..Rb5+ is drawn. Some might argue that the draw is difficult, that it might be hard to see over-the-board, and I’ll willingly grant both claims. The fact remains that the annotation is fundamentally wrong. Active Pieces is sloppy in other ways. The proofreading appears to have been lax, as there are incorrect move numbers in notes and inconsistent attribution of place in game headers (100). Bonin-Remlinger took place in Chicago, not New York, in 1992 (108), and Foxwoods is not in New York but in Connecticut (179). I also thought that the frequent repetition of games from chapters 1-8 in chapter 9, a set of 100 tactics to solve from Bonin’s games, deserved at least some kind of explanation. Active Pieces could have been a fitting tribute to a man who has given much of his life to our game. Instead it feels like a first draft of that book. New York players will love it, but those concerned with accuracy may want to wait for a second and corrected edition. This entry was posted in Game Collections, history and tagged Bonin Active Pieces, Bonin Keener, Greg Keener, Jay Bonin, Mongoose Press on June 1, 2017 by fullcityplus. This review has been printed in the April 2017 issue of Chess Life. A penultimate (and unedited) version of the review is reproduced here. My thanks to the good folks at Chess Life for allowing me to do so. Keres, Paul. World Chess Championship 1948. trans. Jan Verendel. Gothenberg: Verendel Publishing, 2016. ISBN 978-9198366501. HB 540pp. One of the curious features of modern chess publishing is the lack of commercial interest in new tournament books. (World championship matches are something of an exception to this rule.) With games available in real-time via the web, and with the rise of livestreamed video commentary and flash annotations, who needs a book that appears months after a big event ends, and when our attention has already shifted thrice-fold to the shiny and new? For all of this, there is also a countervailing trend to be found, where some older, heralded tournament books are being translated and brought back into print. First among these are two titles from Russell Enterprises. Miguel Najdorf’s Zurich 1953: 15 Contenders for the World Chess Championship compares favorably with David Bronstein’s canonical work on that tournament, and Max Euwe’s The Hague-Moscow 1948: Match / Tournament for the World Chess Championship is erudite and engaging. Now the young Swede Jan Verendel has done the English speaking world a great service with his translation and publication of Paul Keres’ World Chess Championship 1948. Keres was, of course, a tremendous chess talent, the runner-up at four Candidates’ Tournaments and a stalwart of Soviet Olympic play. While he is remembered as perhaps the greatest player never to become World Champion, Keres’ contributions to chess literature are often undervalued. This new translation should help to remedy that slight. Originally published in Estonian in 1949 and in Russian shortly thereafter, World Chess Championship 1948 is often cited by Garry Kasparov as one of his favorite books. Boris Gelfand lauded it at the 2016 Keres Memorial and lamented its relative obscurity among chess fans. I concur with both of these assessments. Keres’ book is a masterpiece that has been neglected for far too long. World Chess Championship 1948 is a sturdy hardcover of almost 550 single column pages. While the dust jacket is a bit amateurish, the text itself is attractive and well designed, reminiscent of some early titles from Quality Chess. Such similarity should not surprise us once we note that Ari Ziegler, who helped launch Quality Chess, served as Verendel’s typesetter. I was amused to find that the colophon in World Chess Championship 1948 was structurally identical – fonts and all – to early Quality Chess efforts. Keres is a brilliant annotator, certainly on a par with Botvinnik or Smyslov, and his powers are on full display in this book. He does an excellent job of explaining the critical features of positions, often in painstaking detail, and most of his analysis holds up when checked with an engine. When errors do occur, they usually pop up a few ply deep, meaning that his overall assessment still checks out. 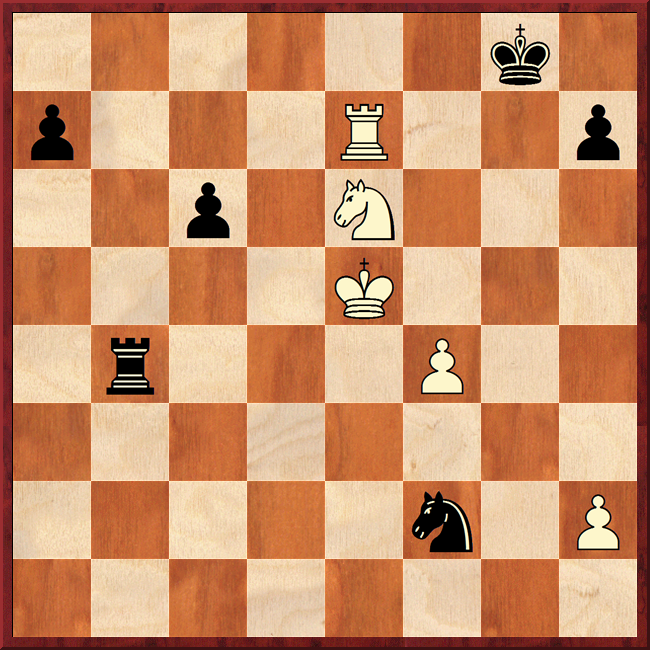 Consider this position, taken from the fourth round game between Max Euwe and Vassily Smyslov. Here Euwe famously played the “beautiful sacrifice” 33.Nexg6 fxg6 34.Nxg6?! 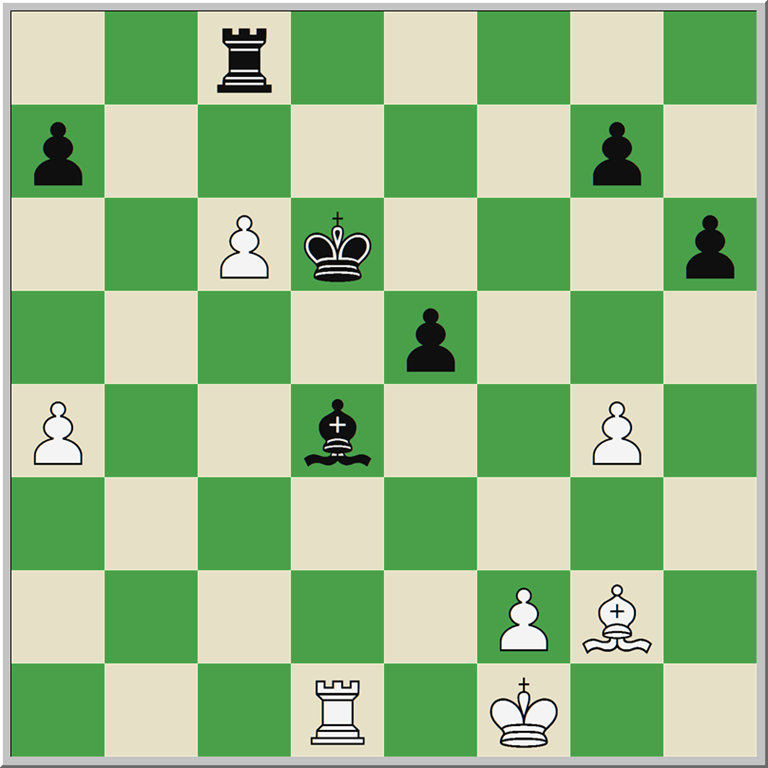 (34.Qg4 should still win) 34..Kxg6 but after 35.e5? Kf7 36.Qh5+ Kf8 37.f4 Bb6 38.Qf5+ Ke7 39.Qh7+ Kd8 40.Bxb6+ Qxb6+ 41.Kh2 Qe3 42.Qf5 Nc6 he was forced to resign. With 35.Qf3! Keres correctly notes that Euwe would have kept some “saving chances.” The line goes 35. ..Be6 36.Qf8 Kh7! 37.Qxd8 Nc6 38.Bf6! 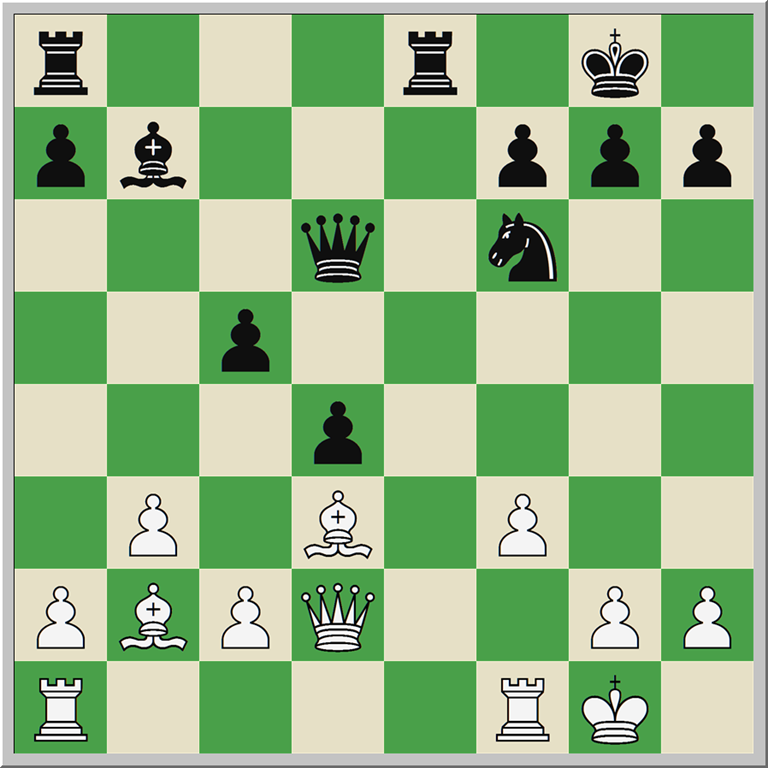 (38.Qd5 Qd7 39.Qxb5 Nxd4 40.Qxd7+ Bxd7 41.cxd4 Ne7 gives White three pawns for the piece but a worse position according to Keres, while Stockfish offers 38. ..Qc8 as an improvement) 38. ..Bf5. Here Keres gives 39.Qd6 Bg6 40.f4? 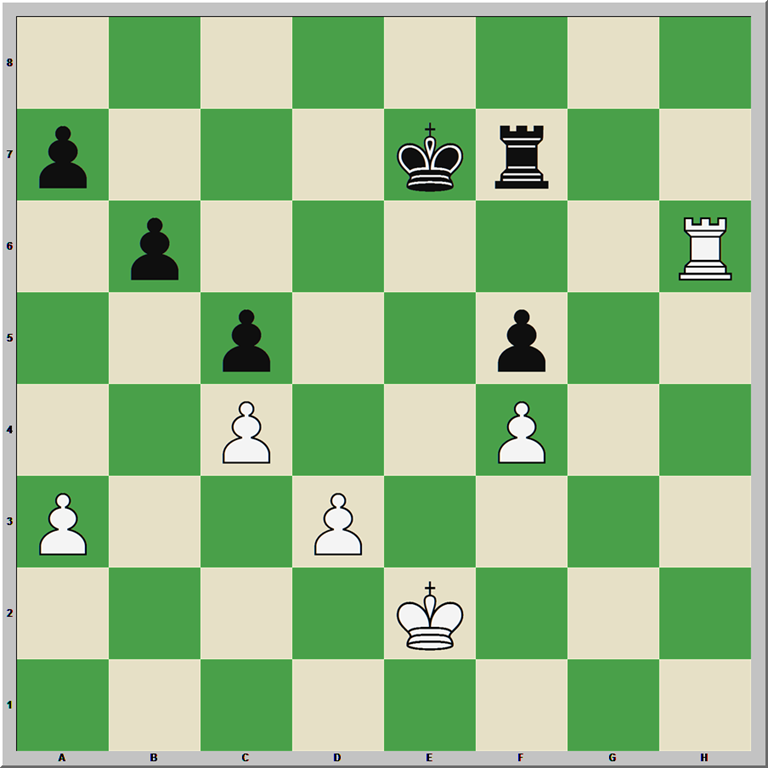 Nxf6 41.Qxf6 and the computer thinks Black’s material advantage should prevail. 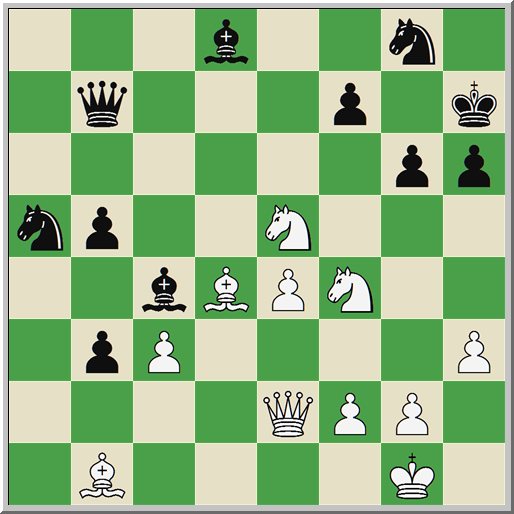 After 39.Qd5, however, the position remains very unclear. Verendel’s translation is solid and quite readable, although I have no way of knowing how close it is to the original Estonian. His aim seems to be maximum fidelity to Keres’ own words. Perhaps that is why – rather strangely, I thought – there are no editorial apparatus included. Some kind of translator’s introduction would have added depth to the book, and if you’re interested in a ‘behind-the-scenes’ view of each day’s events, Euwe’s book is a valuable supplement. All the same, in an age where every new release is immediately deemed to be a classic, Keres’ book actually fits the bill. It belongs on the bookshelf of every serious chess fan. I looked at quite a few of the games from the 1948 tournament in some detail for this review, and the famous Keres-Botvinnik endgame from round 15 was particularly interesting. For print space limitations I could not mention this game, but it seems shameful to let the work go to waste when I could put it up on the web and let folks enjoy it. This entry was posted in Game Collections, history, Instructional and tagged Hague Moscow 1948, Jan Verendel, Keres 1948, Paul Keres, World Chess Championship 1948 on April 4, 2017 by fullcityplus. This review has been printed in the 70th Anniversary (September 2016) issue of Chess Life. A penultimate (and unedited) version of the review is reproduced here. My thanks to the good folks at Chess Life for allowing me to do so. 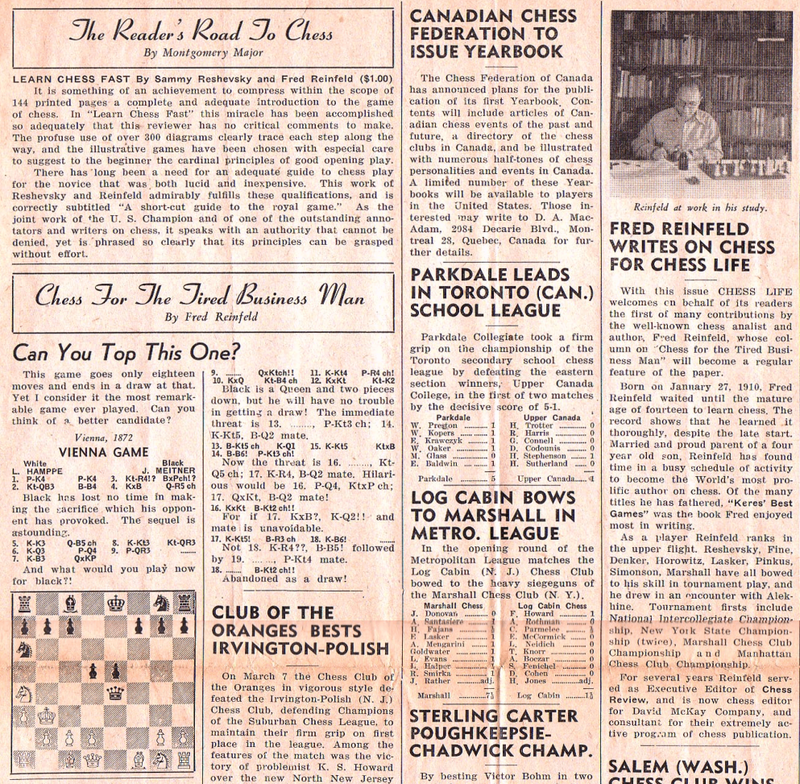 Chess Life began its life in 1946 as a four page newspaper, focused primarily on promoting USCF activities and reporting the news in American chess. The Nebraskan in me was thrilled to discover the coverage of Nebraskan chess and chess personalities in those early years, including the profiles of Rev. Howard Ohman and Delmar Saxton in issue I.7. The bibliophile, however, was initially left cold. 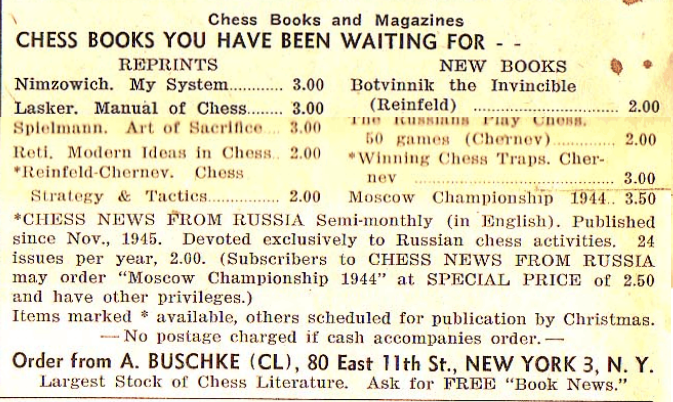 The first mentions of chess books in Chess Life appear in advertisements in issue I.5. 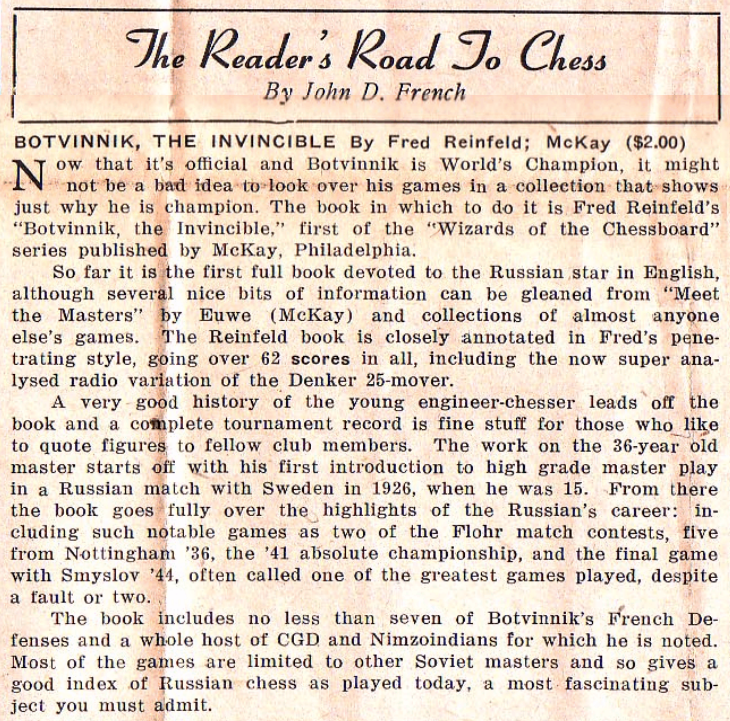 The tournament book for the 1946 US Open was offered by the USCF on page 3, while famed New York bookseller Albrecht Buschke advertised works by Nimzovich and Reti alongside new titles by Chernev and Reinfeld on page 4. The announcement of a new “service department” appeared in issue I.10, marking the USCF’s entry into selling books and equipment to its members. 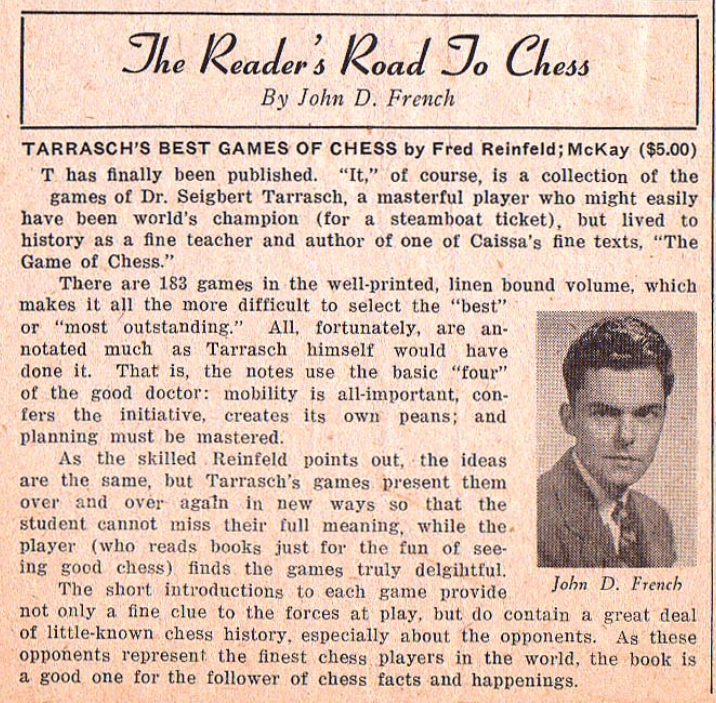 The inaugural installment of “The Reader’s Road To Chess,” the first review column in Chess Life, was published in issue I.15. 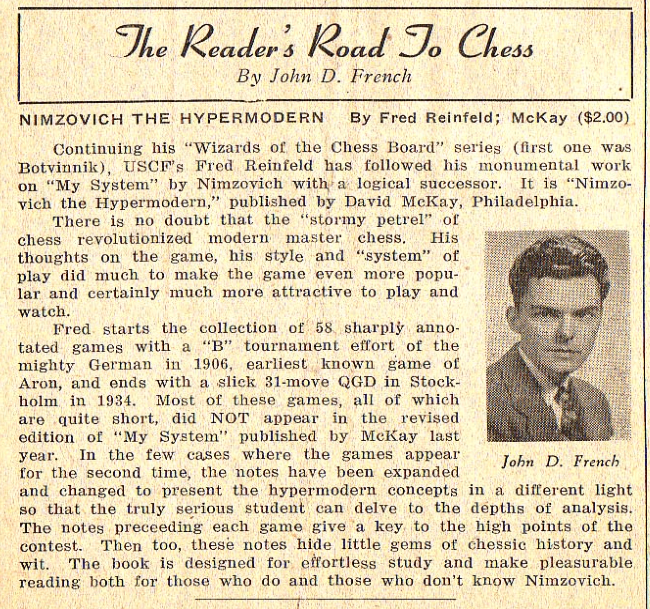 Chess Life editor Montgomery Major read Learn Chess Fast by Reshevsky and Reinfeld and found it “so adequate” that “this reviewer has no critical comments to make.” Among the other books to be favorably reviewed in those early issues were Chess by Yourself (I.17), Tarrasch’s Best Games of Chess (II.9), Nimzovich the Hypermodern (II.13), and Botvinnik, the Invincible (II.18), all of which were written by Fred Reinfeld. Some readers may be wondering if I’ve lost the plot. Fred Reinfeld? Wasn’t he the guy who wrote all those antiquated beginners books, the ones that every chess snob makes fun of? What gives? In this light it is possible to forgive the numerous ‘potboilers’ that appear under Reinfeld’s name and that re-appear under different titles. It should not, however, blind us to the many quality works that span his œuvre. We generally find the more serious analytical efforts early in Reinfeld’s career, while later titles are mainly popular in nature. Let me conclude this month’s column by mentioning the best of both types. Almost all of Reinfeld’s serious games collections remain worthwhile for the majority of readers. Besides the three mentioned above, I can recommend his books on Capablanca (The Immortal Games of Capablanca), Keres (Keres’ Best Games of Chess 1931-1948), and Lasker (Lasker’s Greatest Chess Games; written with Fine). Stick with the original editions and avoid the dodgy reprints. Some will harp on the errors in Reinfeld’s analysis. Of course they exist, but Reinfeld’s notes are generally trustworthy upon inspection, and he writes with a brevity that today’s silicon-enhanced authors often lack. I compared his analysis of Rauzer-Botvinnik (ch-USSR, 1933) in Botvinnik, the Invincible with that of Kasparov in My Great Predecessors II; if I am honest, I found Reinfeld’s version more digestible and edifying. 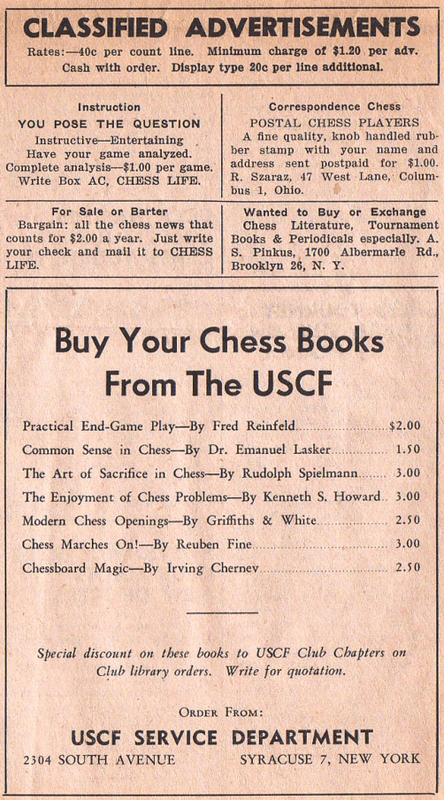 For the best of his later works, have a look at the “Fred Reinfeld Chess Classics” from Russell Enterprises. Reinfeld’s books are translated into algebraic notation in this series, making classics like 1001 Brilliant Ways to Checkmate and 1001 Chess Sacrifices and Combinations available to those who never bothered to learned descriptive. Generations of American players cut their teeth on these two books, and they remain useful for players looking to improve their tactics. This entry was posted in Game Collections, history, Instructional and tagged Chess Life, Chess Life 70th Anniversary, Fred Reinfeld on September 2, 2016 by fullcityplus.